Update April 5th - Access has been restored to all affected resources. 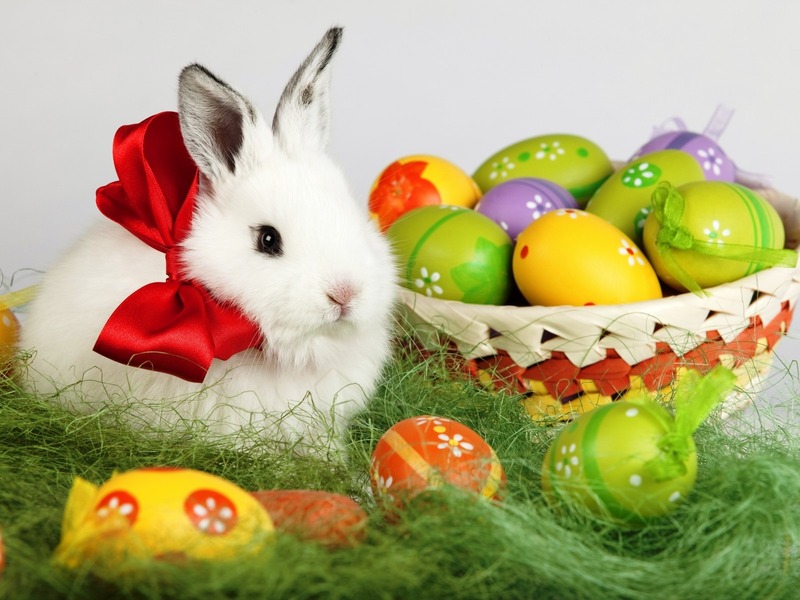 You can access the resources as normal via the relevant links in the library catalogue. We're currently experiencing access problems with Web of Science, Journal Citation Reports, and Essential Science Indicators. For Web of Science, the interface can still be searched, but there's no guarantee that content in search results will be as comprehensive as it should be. Journal Citation Reports and Essential Science Indicators are both presenting login screens and aren't authorising us at the moment. Technical support for the resources has been contacted, and they are currently working on fixing the issue. We'll update this blog post as events warrant. Apologies for any inconvenience! Access to the online 2nd edition of the International Encyclopedia of the Social & Behavioral Sciences (Elsevier, 2015) is now available. Fully revised and updated, this new edition of the International Encyclopedia of the Social & Behavioral Sciences, first published in 2001, comprises over 3,900 articles and includes 90,000 bibliographic references as well as comprehensive name and subject indexes. 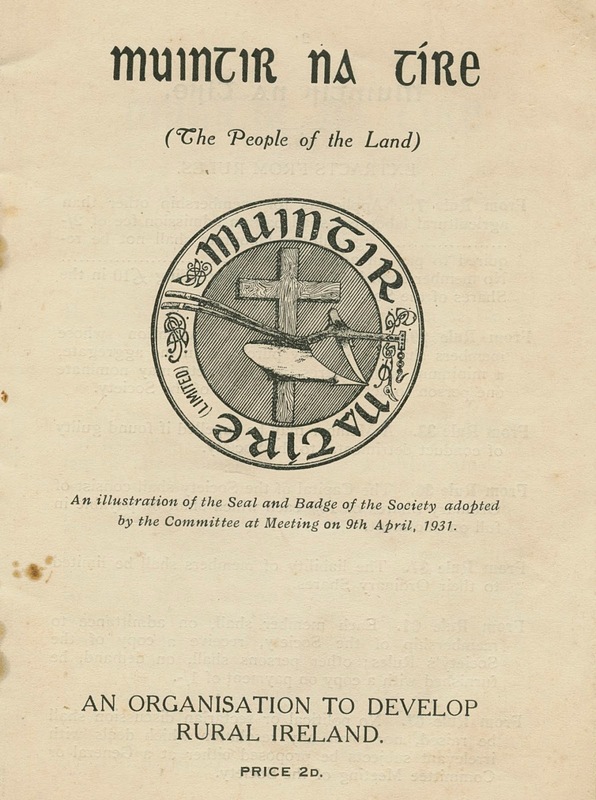 Before Muintir na Tíre was founded in 1937 by Canon John Hayes, he established a co-operative society, Muintir na Tíre Limited, in 1931. Muintir na Tíre was an agricultural producers co-operative society for farmers and their labourers. 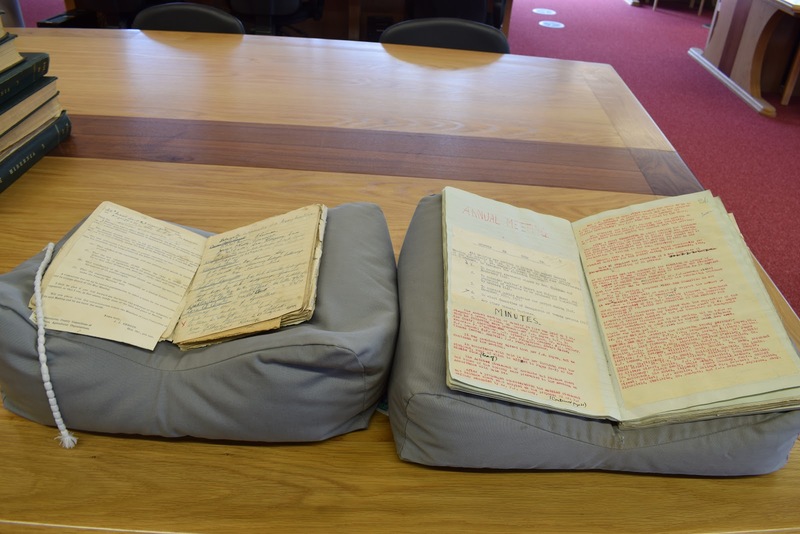 I have discovered some records relating to Muintir na Tíre Limited during the appraisal and arranging of the Muintir na Tíre archive. This includes the minute books from 1931 – 1937 and some published material. 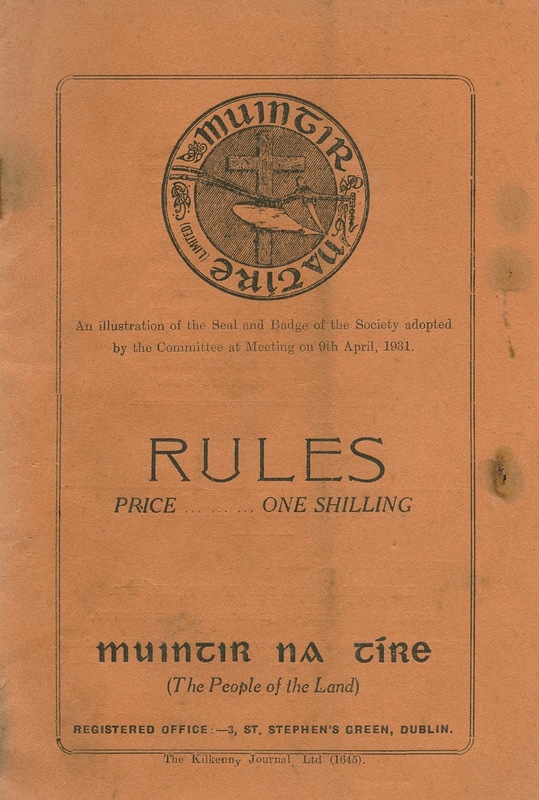 The minute books of Muintir na Tíre Limited note how Muintir na Tíre Limited was set up, the rules that should be followed, the prices of shares and the title of the organisation. They note the various meetings of the organisation during the years it was active and those who were involved in the organisation. 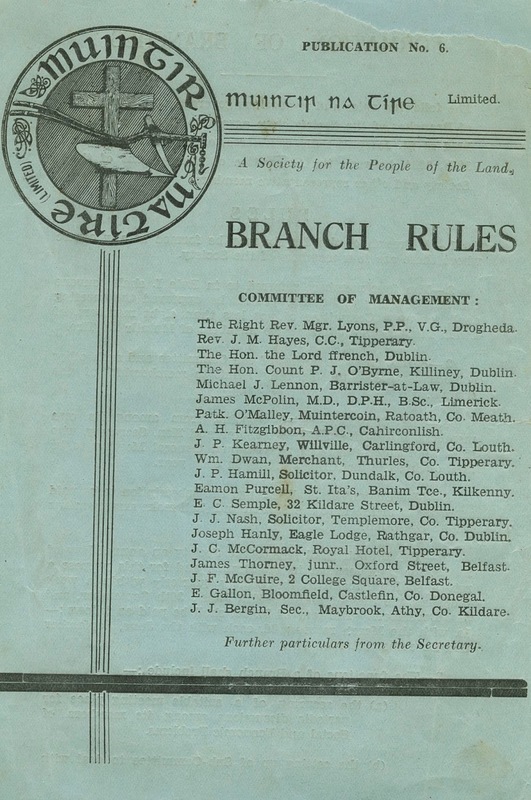 The first entry in the first minute book is a circular announcing a meeting on March 4th 1931 “to further consider the matter of setting up an organisation which will embrace every section of Irish Agriculture and avoid political affiliation” announced the intention of setting up an organisation which would act as a parent organisation for all those involved in agriculture. It was decided at this meeting to set up such an organisation, and this became known as Muintir na Tíre Limited. It was agreed that the association would be registered as a limited liability organisation under the Industrial and Provident Societies Act. Muintir na Tíre Limited was registered with the Register of Friendly Societies on 24th November 1931. 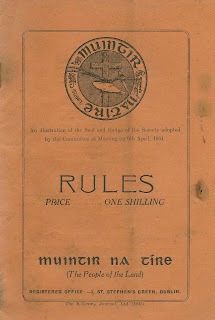 To be registered with the Register of Friendly Societies Muintir na Tíre Limited had to produce rules. 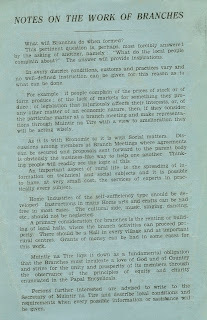 Muintir na Tíre Limited believed in rural self-help. The ideological basis for Muintir na Tíre Limited was the encyclical Rerum Novarum. In this the Pope was calling for greater harmony between the social classes. In Ireland this was seen as the relationship between farmer and labourer. 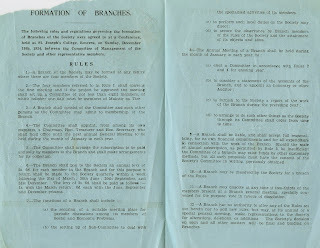 This vision was set out by Reverend Hayes in an address to a meeting of delegates at Commercial Buildings Dublin, 7th May 1931 and published in the below booklet. 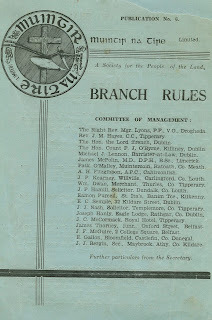 Muintir na Tíre Limited agreed the formation of branches in 1934. 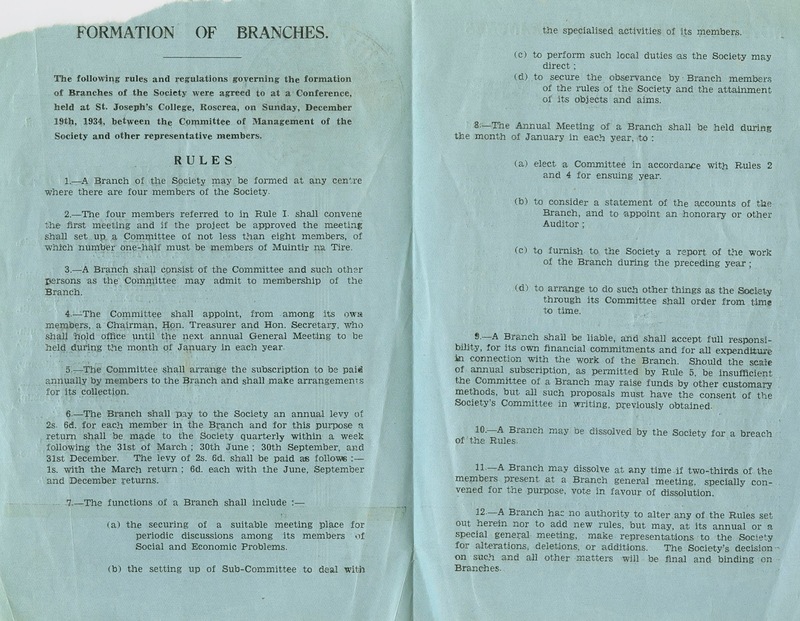 Rules and regulations governing the formation of branches were established. The most successful activity of Muintir na Tíre Limited was the development of Rural Weekends. These weekends were a shortened version of Semaine Sociales held in rural France. Rural weekends developed into the Rural Weeks run by Muintir na Tíre. 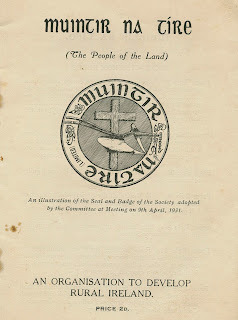 Muintir na Tíre Limited was a precursor to Muintir na Tíre and many of the ideas of Canon Hayes were developed and tried out in the co-operative society. However, the co-operative was found to be too limiting and by 1937 it ceased being registered with the Registrar of Friendly Societies. 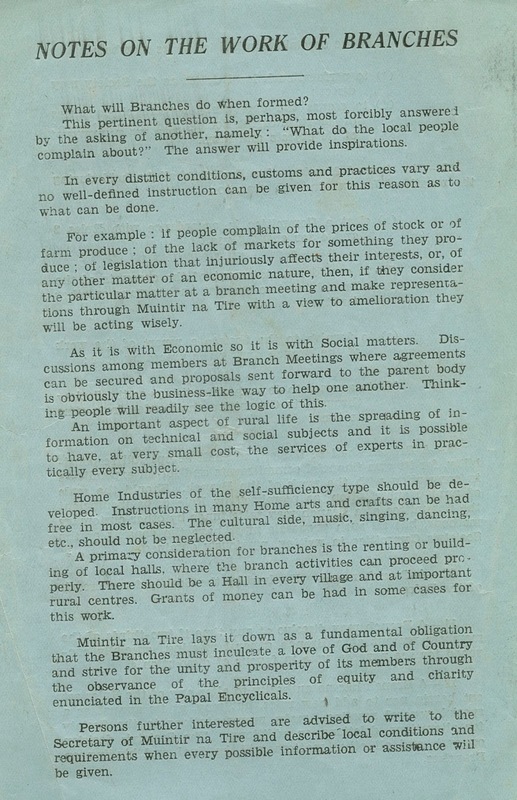 Muintir na Tíre was ready to be established to promote rural communities. While you have to wait until these records are available for research purposes you can have a read of Class, Community and Conflict: the case of Muintir na Tíre Limited by Eoin Devereux published in Tipperary Historical Journal 1995 and Father John Hayes: Founder of Muintir naTíre, People of the Land by Stephen Rynne to find out more about Muintir na Tíre Limited. 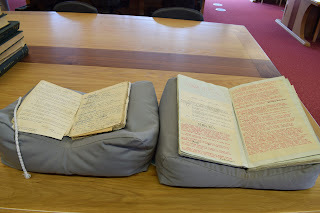 Hopefully, there will be more records relating to Muintir na Tíre Limited to be discovered.